ShipAIS vessel tracking is made by an enthusiasts that share AIS data. The website shows the vessels movement around UK. There are statistic about ships, photos, and the position of the ship. But be prepared to face the ugliest design ever. What is the idea of making the website like this? It is absolutely user hostile when it comes to real time vessel tracking! Vessel tracking exists from years ago. You need a binoculars, this will allow you to identify and track a vessel out the to horizon. AIS is a public accessible data. It isn’t owned by any particular receiver and can be received by anyone with VHF radio or commercial receiver. There are a number of government, commercial and amateur AIS networks tracking vessels around the country, but, if you are scared about your vessel position appearing on ShipAIS the data from this ship will be stopped. AIS History – Available history of the ships position by day and hour. 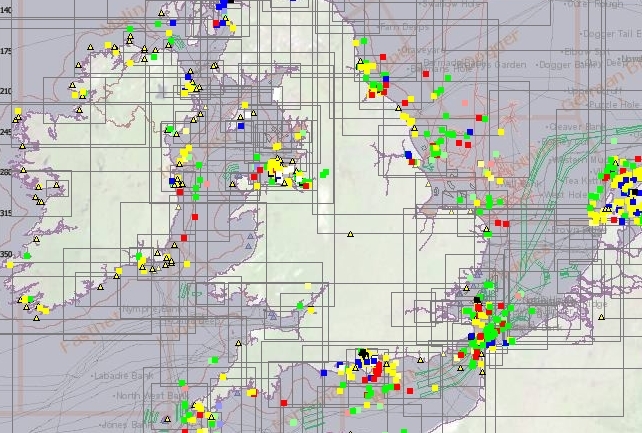 AIS Traffic – The main idea of the author is to show the marine traffic around United Kingdom. Ship at Anchor – Displaying not moving vessels. Ships Under Way – Moving vessels. Destinations – Displaying where the ships are heading. The information where a vessel is, or the real time vessel tracking isn’t a security threat any more than knowing where the Bank of England is. You can’t hid a vessel in the water of the oceans. Francis Drake had no troubles detecting vessels 400 ago without AIS. If you desire hiding a boat, paint it grey hide it under the water level just like the navy does with its submarines. Usually all the vessels are brightly decorated, carry AIS, radar, radar reflectors, horns and 2-way radios. ShipAIS.com has been visited by many people that are professionals. It is a deliberate design of this website not to shows the AIS latitude and longitude parameters. Some people always claim that showing AIS data on the internet is a security risk, yet they are unable to come up with a good scenario for someone using a website to endanger a vessel.